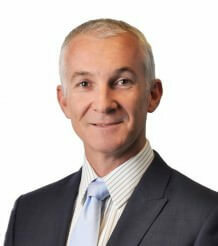 Rob joined Hall Chadwick QLD in 1995 and has been a director since 2001. Rob has approximately 25 years’ experience in the taxation and business services field covering a broad range of industries. He has a large client base in the professional services area including the legal and medical sectors, as well as significant expertise in the property development area including GST related matters. Rob has a passion for business development for small to medium sized family owned businesses. He enjoys working closely with his clients in order to achieve tailored solutions which result in the best possible outcomes for his clients. Rob grew up on his family’s sheep and cattle property near Longreach in Western Queensland and attended boarding school in Brisbane at the Anglican Church Grammar School (Churchie). Growing up on the family owned and run operation has given him a significant understanding of the complexities that often surround family run businesses including generational transfer and estate planning matters. Rob continues to be the trusted advisor for clients of Hall Chadwick QLD, some of which have been clients of the firm for nearly 40 years. He has advised clients from start up to business turning over in excess $100m/year and looks after all business advisory and taxation aspects of the operational business. He also advises on structuring of investments as well as taking care of the taxation and compliance work of the individual owners and their extended families.